"I have utter confidence in them, and highly recommend them to anyone with pain..."
"Staff is amazingly friendly and helpful... Will definitely be going again!" "I can honestly say Active Medical Center is the best chiropractic office in the area!" "They are so professional and knowledgeable! I feel better than I have in a long time!" "Been very happy with my chiropractic adjustments. This has really made a difference." "Enjoying expert care from the doctors here... The results are life changing." Active Medical Center in Dundee, Illinois, is a an integrated medical clinic where the medical team works to improve a patient’s overall health, while also providing relief from painful symptoms. Their focus is on healing the root cause of pain or discomfort, with a goal of minimizing the need for drugs or surgery. The doctors on staff offer a wide variety of chiropractic treatments for conditions including sciatica, migraines, knee pain, and more. The team of doctors and nurse practitioners on staff use a combination of chiropractic, massage therapy, and physical therapy rehabilitation services to provide the best possible patient outcomes. Patients receive highly customized care at Active Medical Center. The medical team understands that each patient has a unique experience and that there is no one size fits all approach. Pain and related symptoms are the body’s way of signaling that something is wrong. The team takes the patient’s overall wellbeing into account and will get to the bottom of the patient’s pain. The philosophy of care at the practice is to improve and maintain the patient’s overall wellbeing by focusing on preventive care and bringing the body to optimal levels of function and health. Patients benefit from the focus on keeping the body strong and healthy to avoid future injuries. The team at Active Medical Center is welcoming new patients. They’re looking forward to developing partnerships with a shared goal of improved health and wellbeing. We truly want you to start enjoying life pain free! Our holistic approach will help alleviate your pain. Please call us today to set up an appointment! We accept most insurances. Please give us a call today for more information! "The doctors and staff at Active Medical Center are a team that has changed my life. They care about making the patient healthy, and keeping them healthy!" "Dr. Libby and Dr. Darnell are so wonderful at what they do. I have experienced tons of alternative therapies and I highly recommend them." "Very comprehensive intake procedure and quality time with the doctor. Good adjustment technique. Holistic program. Definitely recommend." 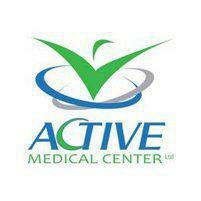 "The team at Active Medical Center are great! They helped me rehab my ankle after a nasty sprain. I would absolutely recommend them." "The whole staff was awesome and I felt they were truly concerned with my care. I would recommend them to anyone looking for an excellent chiropractor." "In only three short months of chiropractic care I was almost completely healed from my injury. Thanks to the team I have regained proper function of my body!" It's time to stop going from doctor to doctor, receiving different health services all over the place and getting conflicting advice. Having a team of different health professionals working together to get you well is the answer to true HEALTH care! Why do I recommend that your kids get adjusted? Is it about “bad backs?” Are they in pain? Do they get headaches? When it comes to migraines there can be multiple triggers. Most people look at addressing the caffeine and nutritional triggers but what else could be causing them?